Experience the mystery and magic of glass at this stunning installation of Dale Chihuly’s work at WMODA. 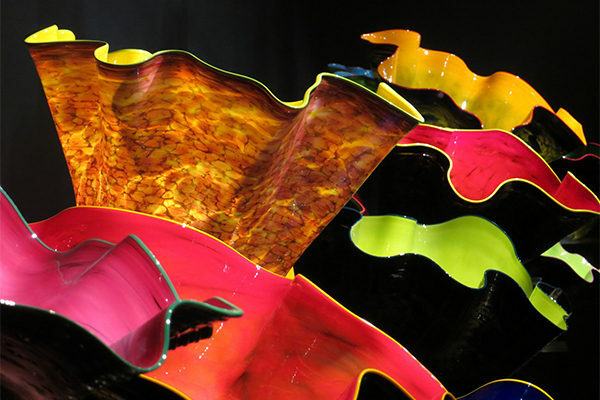 Chihuly is the world’s foremost glass artist and his awesome Macchia series celebrates his remarkable powers of innovation and imagination. In Italian ‘macchia’ suggests the spontaneous outpouring of artistic sensibility and in choosing this title Chihuly pays tribute to the glass blowers of Venice.